I have been able to regulate it with a combination of medication, natural supplements, diet tweaks and healthy habits. Actually writing all that out makes it sound like a lot! But really it’s not an issue day to day. I still have a hard time losing weight, but if that’s my biggest problem I’d say God dealt me a pretty good hand in life! Last year my T4 thyroid hormone levels fell below normal too. I am on low doses of 2 medications to keep them in the normal range. I take 2 pills before I go to sleep (because you can’t take them within an hour of eating and I eat all the time when I’m awake) and it’s no big deal. 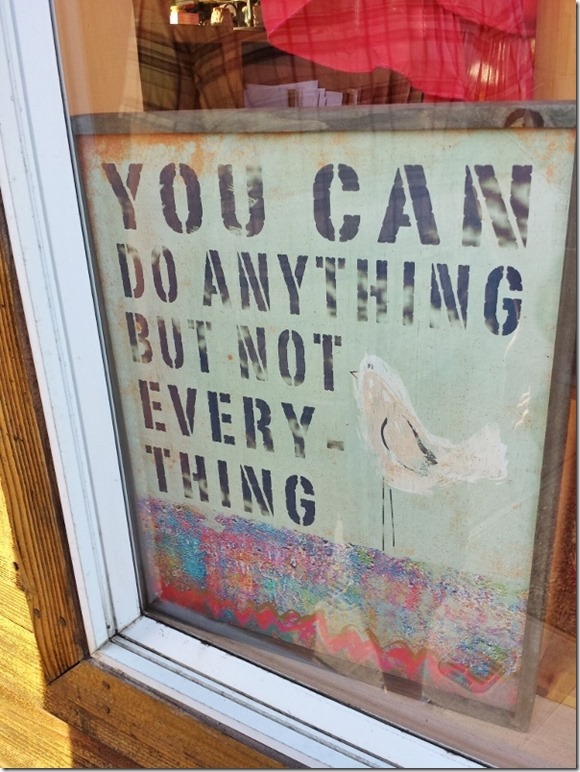 Except – maybe it is a big deal to live with hypothyroidism and still run as much as I do? One of the signs of hypothyroid is fatigue. I’m definitely not too tired to run over 40 miles a week on a regular basis. I like my doctor and work with her to make sure I am on the right medication and the right dosage to help my thyroid stay in an acceptable range for me. If I didn’t think I needed meds I wouldn’t take them. If I thought I should be on something else I’d talk to my doctor. You have to be your own health advocate in the doctor’s office and speak up for yourself. I don’t think she just threw a pill at me to make me go away. Thyroid hormones are vital to the function of a lot of systems in our body. This means having healthy levels are important for energy, metabolism, fertility, stress and more. So, I do need to take medication to regulate it at this point in my life. I don’t know if it will be forever, but right now it works. 2. I take a thyroid supplement and multi-vitamin. One of the times I went to get my prescription refilled I had a good talk with the pharmacist. She suggested a full B vitamin complex – not just taking B -12 when I was tired. She also suggested Ashwagandha. What?! I had to look that up! This opened my eyes to the world of natural supplements! 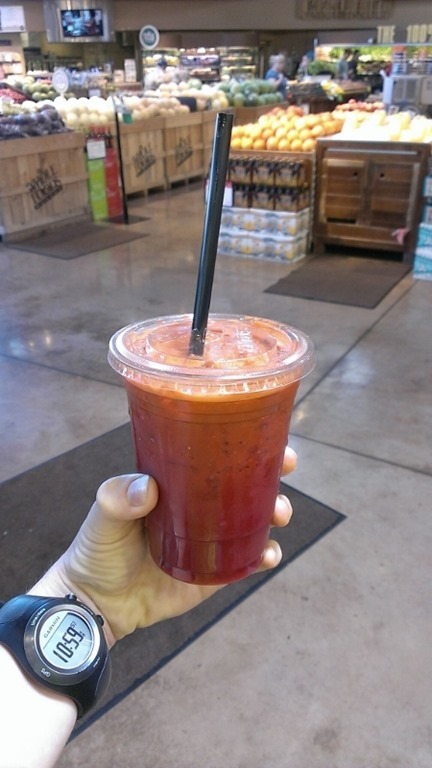 I went to a health foods store and spent hours looking at different options and ingredients. I have done research on thyroid supplements – but more importantly, I’ve done my own trial and error by taking supplements noting how I felt and NOT taking them for a while to see if I felt any different. 3. I changed my diet. I used to eat a veggie burger on top of cabbage slaw with peanut sauce every single day for lunch. When I got diagnosed with hypothyroid I looked up foods to help with this issue. Instead of finding what I should eat to help my low thyroid I found a lot more information on what I shouldn’t eat. This is frustrating because so many resources are quick to point out what foods HURT your health, but so few list what can HELP your thyroid. This is actually one of the reasons I became a health coach – I wanted to learn more about how to help people (myself included) with food and natural remedy options! I did learn that I was actually eating the “DO NOT EAT” list foods all the time – see: cabbage and soy. I was eating those in big amounts literally every single day. So I cut back on soy and veggies in the cabbage family. I have done a lot of research on going gluten free. 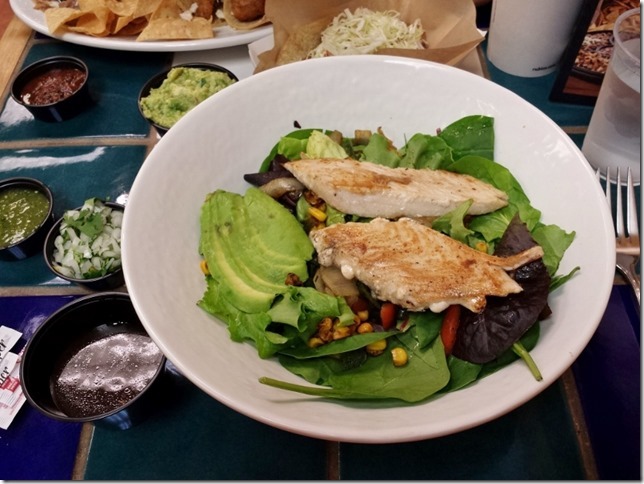 I am still working on finding what works best for me and my body. But eating healthy is a priority and I know it helps how I feel. 4. I make sleep and rest a priority. Since I run a lot, I rest a lot. I realize that I’m asking a lot of body so I try to take care of it with lots of good food and enough sleep. 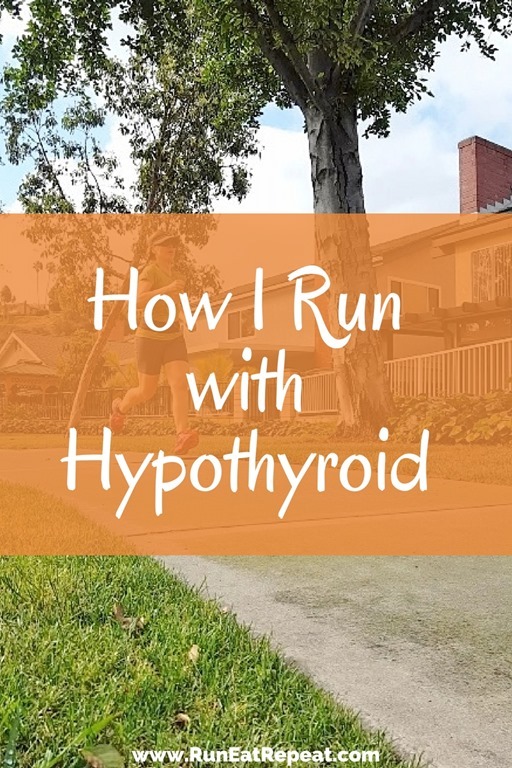 Heck, even if you have no thyroid issues at all – if you are running a lot you should be treating your body well! I also cut myself some slack when I’m super tired or feel crappy. I don’t kick myself when I’m down (because it’s physically impossible). I deal with how I feel that day. It’s fine to be a little tired sometimes when you are training for a race or exercising a lot. But if you are too tired function then it’s a problem. If fatigue is interfering with your work, school or relationships – something has to change. That might mean more rest, less running, drinking more Spark, less candy, more love, less stress – find a balance that works for you. 5. I make running a priority over other things that I don’t care about as much. You can have anything – but you can’t have everything. That’s one of my favorite quotes. Yes, you can do anything you want, but you can’t do everything you want because of time / money / energy /other. So I put my time and energy into running (and eating). If it’s not important to you to run long distances, don’t do it. Find something fun and active you enjoy. Bonus round: I am constantly researching what are the best foods, supplements, diet philosophy, stress management and other for me and my body. This might all be different in a year, but right now this is what is working for me. Note: I have been hesitant to write about my low thyroid because it brings up the topic of supplements and diet. I want to be totally open, but I also don’t want you taking random supplements or changing your diet unless it’s a good idea for YOUR body. 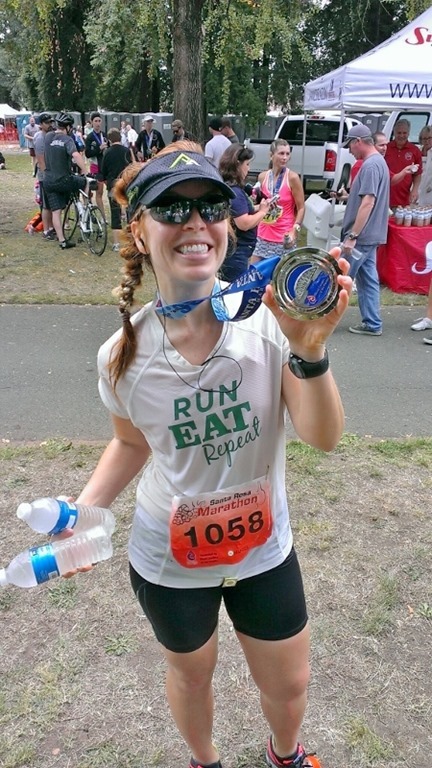 This post is just about a random redheaded Mexican runner, not your blood tests. Every body is different. Figure out what works for you and do it. Question: Do you take a vitamin most days? I appreciate your post! One thing I did want to point out, though, is that in the diagnosis of hypothyroidism, the key indicator for my doctor was that my TSH levels were actually very high- not low, as the blog mentions. Levothyroxine/ Synthroid, Armour Thyroid, Lyothryonine, etc., are medications which replace the thyroid’s original hormones for an artificial one. High TSH (Thyroid Stimulating Hormone) levels are indicative of the pituitary gland working hard to stimulate a thyroid which is low functioning (i.e., “hypo”thyroid). 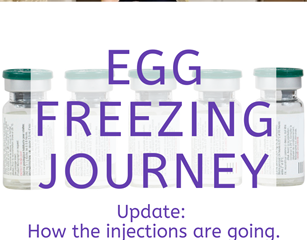 The artificial thyroid hormones, at the appropriate level, return the body to the function it should have had originally and when the pituitary&brain realize this, they lower the amount of TSH being sent out. Thank you for sharing!!!! I was diagnosed hypo 2 years ago and am still struggling! Finally went to a specialist and that is helping….I hope! It is really important to communicate with others about this and share what is working….even if it’s different for all of us!! Thank you! I was diagnosed with Hashimoto’s hypothyroidism almost 2 years ago. It was a real struggle to get me on the correct dosage of Levothyroxine and I ended up seeing an endocrinologist who added Cytomel twice per day. As I’ve been researching, there’s a lot of controversy over treating hypothyroidism! For me, I feel best when my TSH is below 1.0 but I do still experience fatigue almost daily. I’m not taking any vitamins or supplements but I am going to start a probiotic and B complex. I had been thinking about adding Ashwanganda – I’ve heard it’s good for hypothyroid but never known anyone who actually takes it. Thanks so much for this post! I had no idea you had hypothyroidism! Very good read. I was diagnosed with hypo earlier this year and haven’t thought much of it. I take the medication, but gave little notice to the diet side of it after feeling overwhelmed by all the info out there about what we shouldn’t be eating. Lately I have been doing a high-fat, low-carb thing (greek yoghurt, cheese, avo, eggs, almond butter for days) as I have a friend doing her masters on the benefits. While some people love it, I have noticed serious sluggishness and irritability after eating dairy with every meal. Your post has me thinking that dairy may not be the best fit for me, and that working out what to eat really does come down to what is best for each individual. You have inspired me to do more research on this, not by reading online but by trying different foods and seeing what works for me. This post is just so awesome srsly!!! So much good information and encouragment! Thank you for writing this for me!! Thank you for saying that 🙂 I hope it helps. Keep chugging along!!! I recently looked up food that I shouldn’t be eating too and wondered why a doctor hasn’t told me this for 31 years!! Thanks for shedding light on this as it’s common but not an excuse!!! Good advice! Sadly, I am one who still deals with fatique on the regular for my Hashimotos Thyroiditis. I have learned I go through ups and downd with it. 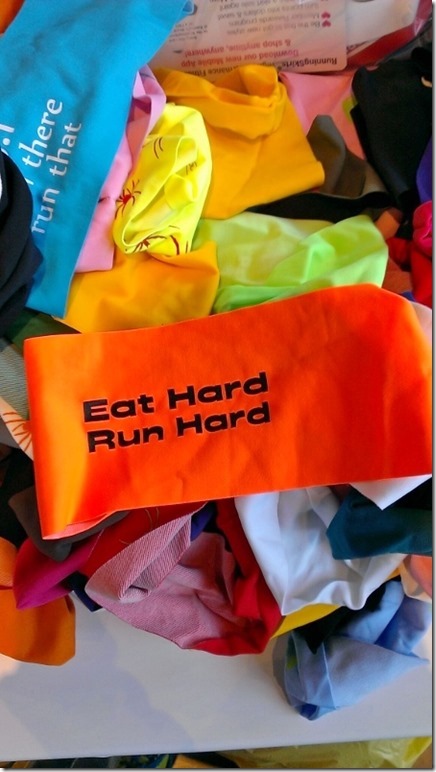 But, it won’t get me to stop being a runner! Good for you! I don’t have Hashimotos so I think it’s a little easier for me. I am so glad to read this today. I am a runner and found out (today infact) that I am going to have to have a full thyroidectomy. I have so many questions about recovery, medication, treatments, etc and I am feeling so lost and overwhelmed….especially as an athlete, since that is my livelihood (as I’m sure you can relate). Would love to talk more about the nutritional part of it if you ever have time. I don’t have any medical issues but I take a Vitamin B Complex, Vitamin D, and Magnesium every day. The vitamin B helps my mood…. my boyfriend can actually tell if I’ve missed a few doses, even before I can. Apparently I get a little cranky sometimes? I don’t think I believe that 🙂 And the magnesium was supposed to help with my anxiety and while I can’t say it did that what it DID do was transform my sleeping habits. I fall asleep so much easier and if I wake up in the middle of the night I can fall back asleep quickly, which was definitely not the case before. Thank you for sharing this! 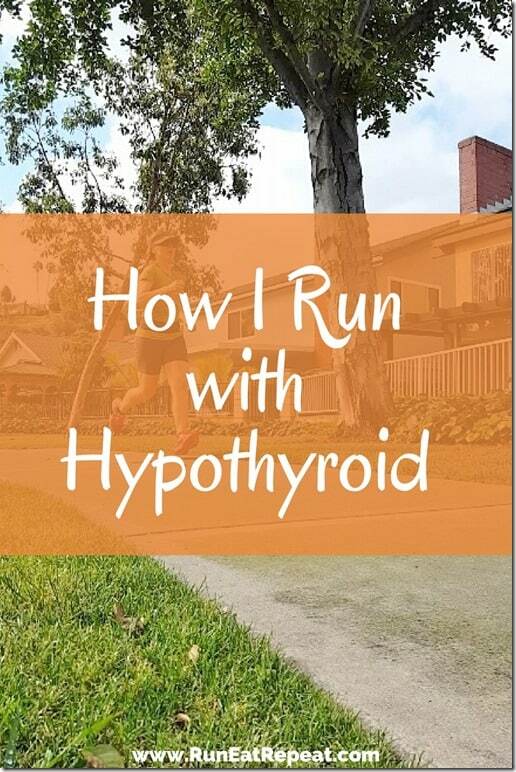 I too am an avid runner and was recently diagnosed with Hashimoto’s Disease which can lead to hypothyroidism over time. I have been learning a lot but it is still great to see what others especially people who are active are doing. I’ve been hypothyroid since I was 10…Before college I had always struggled to GAIN weight. I was thin as a rail. I’m still thin but not like I was (a good thing). I think varying your running would help with metabolism. You do tend to run at the same paces every day (based on what you post on your blog). Your body adjusts to these paces- I’m sure you know that already. 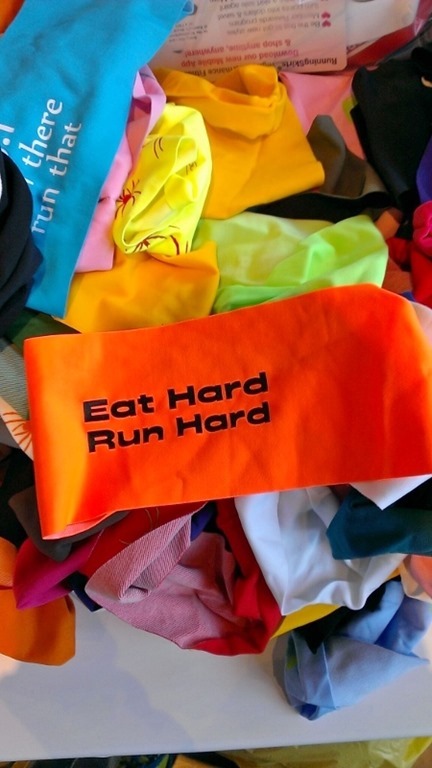 Making it a goal to get faster might be a good idea for you! You go girl…you’re so inspiring! I know some people with hypothyroid and it is very difficult for them to have the energy to do anything…but I love your advocacy for empowering yourself…it’s so important! Diagnosed with hypo/Hashi’s about 8 years ago, also on daily meds since then, and had my thyroid taken out due to cancerous nodules about 10 months ago. It’s a pain all around but it IS a manageable disease and like you said, if this is the worst I have to deal with health wise I’ll take it. I take Vitamin D, a multi-vitamin (usually energy boosting according to the label but who knows – ha), and a B complex as well. I don’t know if it helps but it doesn’t hurt either. The biggest thing though that I’ve found is that I feel better when I exercise. It doesn’t have to be intense exercise but if I just sit around because I feel fatigued I’ll feel even worse. But if I get up and walk or do the elliptical then I start to feel better and eventually I have enough energy to get back into higher intensity types of workouts. This was really interesting. I’ve had hypothyroidism for five or six years as well, but have never really considered it to be an issue since I’m on medication. I do struggle with fatigue, but have always assumed it was from something else as long as my levels fall within normal range. It’s never occurred to me to try anything else on top of my daily medication. I will definitely be checking into some of the alternatives you mentioned. Thanks for info.! Turmeric, when I don’t get at least 1/4 tsp. naturally in my food, and Vitamin D (4,000-6,000 IUs). I had gastric sleeve surgery so I have to take a Multi Vitamin, Calcium, and B-12. Because of the surgery I also had some hair loss so I take Biotin. Not related to the Surgery since I moved away from Texas my Vitamin D has been low so I take a vitamin for that too. Yeah! That is great if the vitamin solved that problem! I don’t care if it’s a placebo effect or not, as long as it’s not harming me I’d take a vitamin like that. I recently listened to a PaleoWomen Podcast all about thyroid issues (episode #83). I HIGHLY recommend listening to their weekly casts. So much interesting information about health and wellness. Perfect for walking or running! Tina sent me a screenshot of a podcast that is all about thyroid too – I thought it was the same one you mentioned but double checked and her suggestion was Balanced Bites #262.
thanks for sharing your experience with hypothyroid! 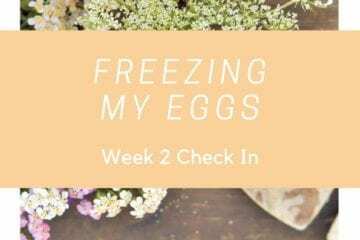 I’m a nurse practitioner that works in a clinic where we treat a lot of hypothyroid thyroid with a more natural approach, so I loved reading how it’s been a whole lifestyle change with you!